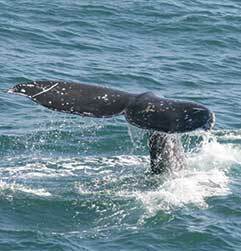 Whale watching with Hornblower Cruises. Don’t let the post-holiday blues get you down. January in San Diego has something everyone will enjoy; from the car enthusiasts to the nature lovers, the restaurants to the theater, we’ve rounded up the best San Diego happenings. Jan. 1-4. Check out more than 400 2015 model-year vehicles, plus preview the cars and trucks of tomorrow at this fabulous annual event “where the cars are the stars.” San Diego Convention Center, 111 W. Harbor Drive, downtown, 619.525.5000. sdautoshow.com. Through April. Each year beginning in December, more than 20,000 gray whales migrate from Alaska to Baja, California, where the females give birth to their calves, before returning north in the spring. Take in the spectacle via a whale-watching tour along San Diego’s 70 miles of coastline directly in the migration path; Hornblower Cruises offers one of the city’s more popular excursions. hornblower.com.